Revocation of Power of Attorney. Ready for immediate use. Revocation forms which will effectively revoke an existing Power of Attorney. Included are revocations which will revoke health care, general and powers of attorney for care of children. Also included is a Notice of Revocation of Power of Attorney. What is revoking a Power of Attorney? When one party (the “Grantor” or “Principal”) has granted another party (the “Attorney-in-Fact” or “Agent”) Power of Attorney, the Grantor often has the power to revoke this power at any time. Power of Attorney, in and of itself, is to be understood as essentially the power to legally sign one’s name in place of another – impacts a range of rights and decision-making powers, such as the ability to sign checks, authorize real estate purchases, or make medical decisions. Revoking this power, then, means the Grantor is simply taking back the Power of Attorney they’ve temporarily granted to someone else. Because there are many different types and authorizations associated with Power of Attorney, it’s important to know when and how these powers can be revoked in specific cases. When can I revoke a Power of Attorney? Generally, unless a Power of Attorney has been made irrevocable by specific terms, a Grantor can revoke Power of Attorney at any point. However, Power of Attorney will not necessarily continue without a Grantor’s intercession. There are instances when a Power of Attorney can expire or discontinue due to other factors present in the law and in the original agreement. Expiration: Once the time-limited terms of the Power of Attorney have expired, the power is automatically revoked from the Agent and given back to the Grantor. The contract that exists between the two will have expired and will no longer be enforceable. Incapacitation or Death: If a Grantor has already given Power of Attorney to the Agent, such as a Power of Attorney for Real Estate Purchase, but suddenly has become incapacitated or even died, the Agent will not retain the Power of Attorney even if the terms have not expired. (Note: when a Grantor’s Power of Attorney continues through incapacitation and ends at death, it is frequently referred to as a Durable Power of Attorney). Invalidation of Contract: If a contract has been deemed invalid or unenforceable – for example, if it has been discovered that one of the parties was not at full mental capacity when signing the contract – the contract would end and the Powers of Attorney would necessarily be revoked. Voluntarily: A Grantor will be able to voluntarily revoke the Power of Attorney by filing a revocation, for which there are usually forms to be filled out. In essence, if you are the Grantor, you will have a lot of legal recourse to reverse a Power of Attorney and bring it back to yourself. A Durable Power of Attorney, in the United States, is also known as “power of attorney with durable provisions.” In essence, this Power of Attorney is an exemption to the common law in which Power of Attorney is revocable when the Grantor has become mentally or physically incapacitated in some way. A Durable Power of Attorney survives this event and is considered still in effect if valid. The Power of Attorney will then continue until the Grantor’s death if there is no further legal action. Durable Power of Attorneys are most frequently seen in the case of Health Care Power of Attorney documents because of the nature of medical incapacitation and the necessity of maintaining Power of Attorney in the hands of the Agent when the Grantor has become incapacitated. Additionally, there is a type of Power of Attorney known as Durable (Upon Disability) in which the changing of Power of Attorney is granted upon someone’s incapacitation – but not before. This allows the Agent to gain access to private information and make medical decisions in the case of an emergency, but does not grant Power of Attorney otherwise. Revoking a Power of Attorney is easy and can be done at any time; however, it is frequently required that you put this revocation in writing. A simple Revocation of Power of Attorney will do the trick; however, it’s recommended that you use a revocation that is specific to the terms of your original Power of Attorney document in order to properly fulfill all legal requirements of Power of Attorney revocation. When are revocations of Power of Attorney enforceable? Provided the original Power of Attorney is fully valid and enforceable, it will not take much to revoke a Power of Attorney. You simply have to use the appropriate revocation forms. Typically, revocation packages also include checklists and instructions for ensuring that your revocation of power of attorney will be valid and filed properly. What are the requirements for revocation of Power of Attorney to be valid? Though there are not as many requirements for a revocation of Power of Attorney to be valid as there would be for a contract signed by multiple parties, it is still important that you focus on properly filling out and filing your revocation. First, the Power of Attorney that you are revoking must be valid – otherwise, the power will be revoked as a matter of the courts and the revocation papers will not typically be necessary to file. It’s also important that the revocation of Power of Attorney be signed by the original Grantor; revoking a Power of Attorney cannot be done on the Grantor’s behalf. It must also be notarized so that there is a witness to the signing of the revocation. It is not necessary for the time provisions of a Power of Attorney document to have expired before it can then be revoked. When is a revocation of Power of Attorney effective? 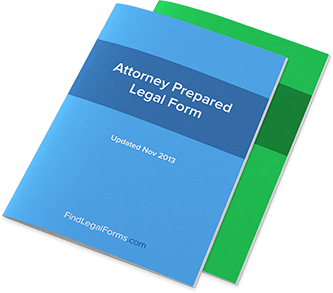 Filled out properly and filed with the justice system, a revocation of Power of Attorney can take place as soon as possible as outlined in the revocation papers and the local laws concerning when revocation is effective. It is important that the revocation has met all needs to become valid – for example, the revocation is not considered effective until it has been properly notarized. For many people, the importance and weight of a power of attorney goes without saying. It’s one of the most powerful legal tools people possess, and it’s a tool that can make or break your financial situation. Choosing an agent (someone who receives your power of attorney) should be a weighted decision, with the powers ultimately going to someone you trust implicitly. So it also goes without saying that revoking a power of attorney can also be a very important decision, and can also be a way for you to “make,” not break, your life a lot better. But how exactly can you revoke a power of attorney once you’ve signed it over to someone else? Let’s take a closer look. Technically speaking, you always are in ultimately possession of your power of attorney, because you can generally revoke a power of attorney at any time - it is yours to give, and ultimately yours to take away. Under contract law, however, it’s important that you not only put a power of attorney assignment in writing, but also put the revocation in writing. This revocation will put the power of attorney back in your hands. What won’t it do? Well, it won’t reverse decisions that were made by the agent with your power of attorney while they had power of attorney. For example, if an agent made an unauthorized real estate purchase but had the legal authority to do so, there’s generally little you can do to reverse that decision, depending on how all of the contracts were written. Revoking someone’s power of attorney from them is a way of punishing them and getting them out of your sphere of control, but isn't necessarily a “quick-fix” to any of the havoc they might have wreaked on your estate. How do you know when to revoke a power of attorney? It’s simple: it comes down to your gut-level decision. Do you know that the person, or agent, that you granted power of attorney has been abusing their power? Then it’s probably time to revoke the power of attorney. Has the person or agent gone against your wishes in using the powers of attorney? It’s probably best to revoke them before any damage can be done against your wishes. Answering these questions is just one step in understanding when to revoke a power of attorney, but ultimately that decision will be up to you. It’s important that you recognize the individual legal issues you might face in revoking power of attorney. If you have granted someone a durable power of attorney, remember that you won’t be able to move this power of attorney away from them when you’re incapacitated or unable to make your own decisions. You’ll have to revoke their power of attorney now, while you’re still able to make that call. In many cases, a revocation of a power of attorney is an easy form to fill out and not a difficult process - even if the decisions behind it are very difficult. Don’t be afraid to revoke power of attorney when it’s in your best interest.